In this article, we’ll take a look at some of the companies that got their MVP right and what they did to go on and launch some of the hottest products in the market today. In his book The Lean Startup, Eric Ries, cofounder/CTO of IMVU talks about how Dropbox tackled the question of market viability by demonstrating their product in a video. To answer the question of whether customers would want to use and pay for their file-sync solution and to justify the market to investors, Houston and his team had to “get out of the building” and put their proposed user experience in front of actual users to get feedback. Instead of digging into servers and building a high-availability, low-latency, always-on network even before they had any clue people would use it, the team decided to try something else. They made an explainer video and started sharing it with their network to see how people would react. If a picture is worth a thousand words, then a video demonstrating your products user experience is worth a million. The 3-minute video demonstrated Dropbox’s intended functionality and resulted in signups increasing from 5,000 people to 75,000 overnight — all of this in absence of a real product. Dropbox’s explainer video served as a brilliant validation of the market before the founders ever had to invest in the infrastructure and development needed for a high-tech product like theirs to reach a functional level in the real world. It walked potential customers through what the product is and clearly demonstrated how it would help them, eventually leading to why they would want to pay you for it. When it comes to product development, it’s easier said than done but when you’re building an MVPs, that’s not necessarily a bad thing. 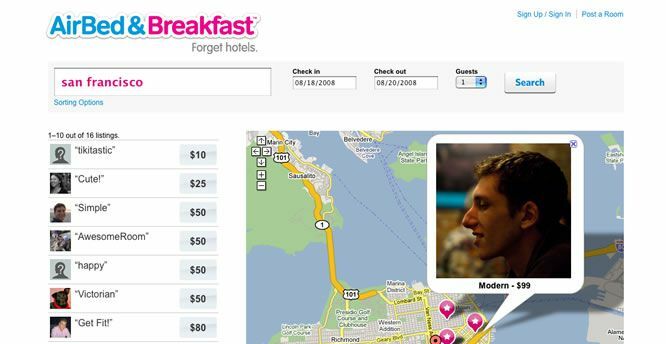 In 2007, Brian Chesky and Joe Gebbia wanted to start a business, but also couldn’t afford the rent of their San Francisco apartment. There was a design conference coming to town, and they decided to open up their loft as cheap accommodation for conference attendees who had lucked out on the hotels nearby. They took pictures of their apartment, put it up on a simple website, and soon they had 3 paying guests for the duration of the conference, a woman from Boston, a father from Utah, and another man originally from India. The up-close interaction gave Chesky and Gebbia valuable insight into what potential customers would want. This concierge MVP helped validate the market and prove people would be willing to buy the experience. With their initial assumptions answered, that people would be willing to pay to stay in someone else’s home rather than a hotel and that not just recent college grads would sign up, they started Airbnb (then called AirbedAndBreakfast). 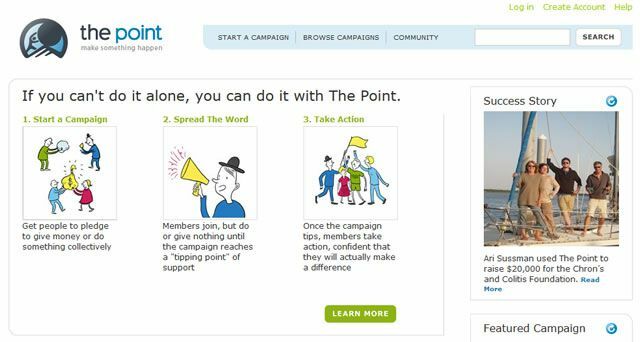 Andrew Mason started with a website called The Point, a platform to bring people together to accomplish things they couldn’t do alone, like fundraising or boycotting a retailer. But the site wasn’t gaining much momentum, so they decided to try out something else. Using the same domain, they set up a customized WordPress blog called The Daily Groupon and began posting deals each day manually. When someone signed up for a particular deal, the team would generate a PDF document and email it using Apple Mail. This simple website they “cobbled together” showed the team this was a market worth looking at with just a manual-first (“Wizard of Oz”) MVP that helped them pivot their offering from what they had been doing previously. They didn’t invest any time into developing a coupon system and designing a new website. Instead, they took what resources they had and made a piecemeal MVP out of them to test the hypothesis of whether people would be interested in what they were offering. Starting from a customized WordPress website and manually emailing PDF documents to a mailing list isn’t exactly what you’d call scaleable, but Groupon’s MVP was successful in answering that question for them. Buffer is a simple app that lets you schedule your posts across your social network, essentially letting you space out your updates so that you don’t flood your friends’ newsfeeds at one point in the day with interesting stuff you want to share. When starting out, Joel Gascoigne, Buffer’s founder, didn’t want to get stuck building a product no one wanted to use. So he began with a simple test. 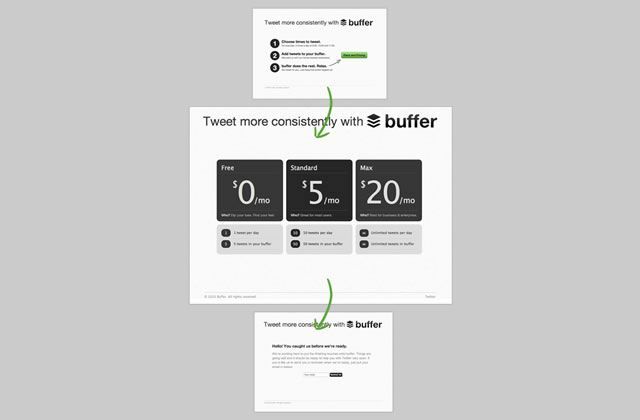 Buffer’s first minimum viable product was just a simple landing page. It explained what Buffer was and how it would work, encouraged people to sign up and offered a plans and pricing button for people to click on if they were interested. When they did, however, they were shown a short message explaining they weren’t quite ready yet and that people should sign up for updates. Joel used the email addresses received from the signup form to start conversations with the potential users of the app, gaining valuable feedback and insight into what they would want. Next, they tested the hypothesis that people would want to pay for this by adding the prices table in between the landing page and the signup form. When someone clicked on the pricing plans button, they were shown the plans to see whether they would be interested in paying for something like Buffer. This showed Joel how many of the visitors to the site could potentially become paying customers. This zero-risk MVP helped Buffer identify the market and shape their product features in the coming development as well. Today, we know that people are comfortable with buying shoes online when Zappos had annual sales of more than $1 billion and was acquired by Amazon for $1.2 billion in 2009. But in 1999, when co-founder Nick Swinmurn wanted to build an online retail store that stocked a great selection of shoes, the assumption that other people would use it needed to be tested. Swinmurn began by putting up photos of shoes from local shoe stores on a website to gauge demand for an online store. When someone ordered the shoe online, he would come back to the store and buy it. Instead of first investing in infrastructure and inventory, this gave Zappos a chance to answer the question of whether their product would be accepted by the market. This Wizard of Oz, man-behind-the-curtain technique is used to test market hypotheses. It comes from the idea of putting on the impression of full functionality, essentially faking it until you make it. Customers believe they are experiencing the actual product, but in reality the work behind the scenes is being done manually. In the case of Zappos, by Swinmurn. The Wizard of Oz approach is great because it also allows for greater interaction with customers at this crucial stage when you’re designing the product. The expedited learning, albeit at a small-scale, provides opportunities to test many assumptions you might be making about the product or the marketplace. Twitter traces its origins to the podcasting platform Odeo. When Odeo found the ground underneath slipping away after Apple stepped into the podcasting game with iTunes, the company started running hackathons to come up with ideas of where to head next. One result of this was an idea for sharing updates with a group of people via text messages, codenamed “twttr”. Image Source: One Month Rails. The first prototype was used as an internal service for Odeo employees, who eventually became so obsessed with it that they began racking up “monthly SMS bills totaling hundreds of dollars”. This gave the team the push they needed to release Twitter to the public, but it was only at the SXSW festival in 2007 that their user base exploded when they showed off members’ tweets about the event on TV screens across the venue. 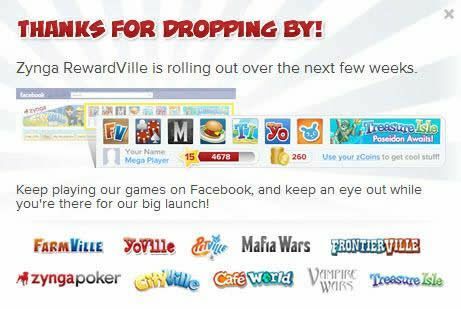 Zynga is a game studio that builds social games, popularized by the likes of Farmville, which surpassed $1 billion in revenue from in-game purchases in 2013. For their game development process, the company follows a mix of landing pages and adword MVP tests to gauge interest in a planned game or particular aspect of the game. By running short ads in existing games and online that pitch potential game ideas and features, the company is able to gather data about which direction to steer development towards, preventing them from wasting any resources on building a game that people don’t end up playing. 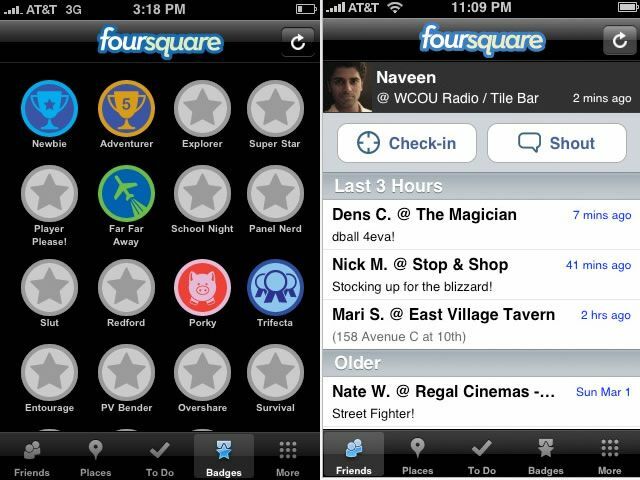 Foursquare is a location-based social network that lets users check-in with their location to share with friends and family. After their first such network, SMS-based Dodgeball, was acquired by Google, founders Dennis Crowley and Naveen Selvadurai set out to work on a mobile app based network they called Foursquare. Backed by VC funding, they didn’t let development time slow them down, however, and launched with a single-featured MVP that didn’t bog them down in design and unnecessary features. They began with check-ins and the gamification rewards and focused on improving that side of the user experience, using feedback to mould their product. Once they were comfortable with the basic functionality, they began adding extra features like Recommendations and City Guides years later. Additionally, they used existing services to help manage the service, for example using Google Docs to gather feedback and requests from users, which goes to show that you don’t need to do everything yourself when you start in order to build a scalable business. According to Henrik Kniberg, Agile and Lean Startup consultant and author, Spotify uses a 4-stage iterative product cycle (Think It, Build It, Ship It, Tweak It). When they launched in 2009 with a landing page, they focused on the single feature that mattered most: music streaming experience. With the desktop apps, they were able to test the market in the limited beta run, giving them time to build momentum to tackle the music industry licensing concerns that were sure to come as they planned on expanding to the US. They follow the same agile process today to help scale. Each one of Spotify’s four stages are Lean since small teams are always working smartly to test assumptions. The “Think It” stage tests the merit of conceptual MVPs while the “Build It” stage releases a physical MVP only after it’s been tested for quality. The “Ship It” and “Tweak It” phases ensure long-term quality and customer alignment by releasing the MVP gradually, learning from feedback, and iterating tirelessly. We go into detail about the process they follow in our article on Building Minimum Viable Products at Spotify. Pebble is an e-paper smartwatch, arguably the one that brought the “wearables” market to the mainstream today. After investor funding dried up, founder Eric Migicovsky turned to crowdfunding site Kickstarter for fundraising and ended up becoming the most successful project there, raising more than $10 million from interested customers looking to support development. Image Source: Pebble’s Kickstarter page. Migicovsky recorded an explainer video to demonstrate the prototype and asked interested customers to contribute. They reached the original goal of $100,000 in 2 hours and by the end of the week had raised $600,000. 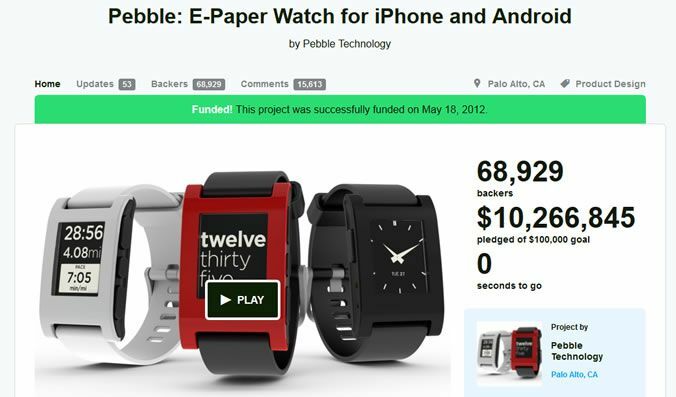 When the funding round on Kickstarter ended, more than 60,000 people had pledged $10.2 million to the project and Pebble went on to develop the watch for consumers. As of March 20, 2014, Pebble has sold over 400,000 units. For most startups, the riskiest assumption is the existence of the market. For Dropbox, that assumption was that people wanted to use a file synchronization service. 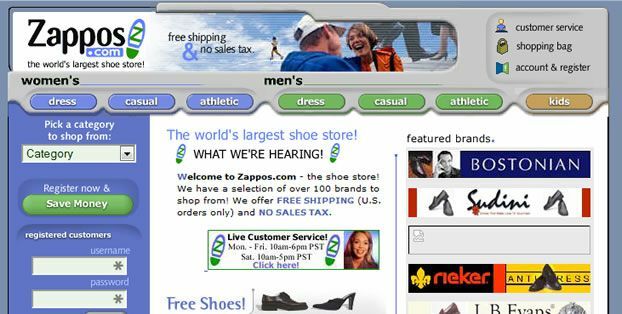 For Zappos, it was that people would buy shoes online. For Airbnb, it was that they would be willing to live at a stranger’s house as opposed to in a hotel. And in each of these cases, they designed their minimum viable product to answer those questions.